I see it all the time in clients. You’ve gotten clear on your message, your point of view in the industry. Then seemingly out of nowhere, you hit a wall. Fears rear their head, you get stuck, and suddenly you’ve got all kinds of excuses to keep from pulling the trigger, from putting yourself out there and getting visible. This is something I see hold entrepreneurs back from connecting with their audience, their ideal clients, over and over again once they get clearer in their communication. 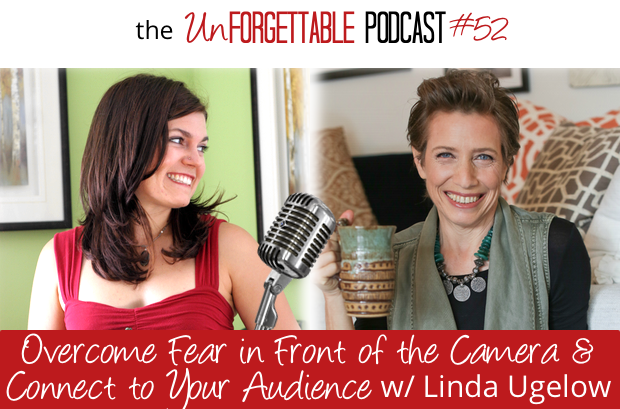 To build off the episode I did last year with Marcie Mauro to find out whether you’re really stuck or if it’s fear of being seen, I brought on Confidence and Visibility Coach Linda Ugelow to help clear up all that resistance holding you back, so you can get comfortable being in front of an audience and not just get a video done but make it something you look forward to and enjoy. If you’re struggling to communicate the value in what you do, I’ve opened up a few spots this month to chat. 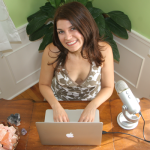 Book a Clarity Call here to get clear on your next steps. It would make me smile BIG if you rate & review Unforgettable in iTunes. Drawing on my design and strategic background as an architect turned ecologist turned health coach, I help coaches and mission-driven entrepreneurs convert clients by aligning their core message so they become unforgettable and their potential clients understand exactly how they’re going to help them and are excited to work with them. WANT CLARITY ON WHAT SETS YOU APART FROM THE CROWD?